This article might as well be entitled "A few words about Astrology" or "Summary of the history of Astrology", but summing up in a couple of pages the global history of astrology, the first testimonies of which are found some 4000 years ago, is not a simple task! From Egyptian, Chinese, and Pre-Columbian divinatory calendars to modern Astrology, through the 15th century golden age, then the 17th century obscurantism, there is a host of things to say. Throughout the century, depending on the continent studied, astrology was perceived, accepted, and practiced in quite different ways. Since Babylon, astrology has certainly evolved. It followed the course of human progress, increased knowledge, technical discoveries, and a better understanding of the world by men. As interesting as this genesis may be, it is not fundamental since, ultimately, there is no direct correlation between High Antiquity astrology and its various modern forms. What seems much more important to us is the correlation and the interaction between the society's conception about itself and the world, and the way it accepts, or refuses, astrology at a given time and a given place of the globe. We certainly do not claim to address the entire history of astrology in a few pages, which, besides, would result in a tedious read... We focus on several significant examples which are helpful for understanding how this discipline has evolved as centuries go by. It is very likely that some people will argue that astrology is not a science, and yet... Through its history, it is remarkable that astrology was better understood by circles which were technically evolved and intellectually open to the world, and that the way it was approached depended more on the society itself than on the times. For instance, during the Renaissance, a period of formidable intellectual, scientific, and cultural development for the European society, astrologers were influential in political circles. In Hungary, astrology was used to decide upon the date of the construction of the Presburg University. In England, astrologers were hired as Ambassadors. Astrology was thriving and was taught in universities throughout the kingdom. Later on, in France, despotism became the very foundation of the society, and the monarchy made the major mistake of entrenching itself in a rigid standpoint, whereas the world around kept on changing. Astrology was first advised against and shortly afterwards, forbidden. Colbert, Minister of Finance under King Louis XIV, forbade academicians to practice it, and Leibniz, though tolerant, declared that he despised only "that which leads to pure illusion such as astrological divination". Diderot and Voltaire, renowned French philosophers of the 18th century, would laugh at astrology. Divinatory calendars, which date back to Antiquity and were found in Egypt, in China, and in pre-Columbian America, indicate that some sort of archaic forms of astrology was practised. It would require too much time to describe them all, and even though the subject is enthralling, it is beyond the scope of this article. Therefore, we have chosen to deal only with Egyptian divinatory calendars, also referred to as Nilotic calendars, because they seem to represent a subtle perception of the world and an interesting ability to approach the environment in intellectual, scientific, and religious ways, so as to better understand it. The starting points of these divinatory calendars were the Nile's fluctuations and the necessity to foresee its fertilising yet destructive floods, with a view to regulating agriculture more efficiently. It is important to highlight that the entire Egyptian society was organised and based on the Nile's cycles, not in order to domesticate it, but to live in perfect harmony with this godsend. Preparedness to floods was of vital importance for the survival of the community. Furthermore, seeking harmony with nature led to the emergence of an intellectual elite of mathematicians, engineers, and astronomers. 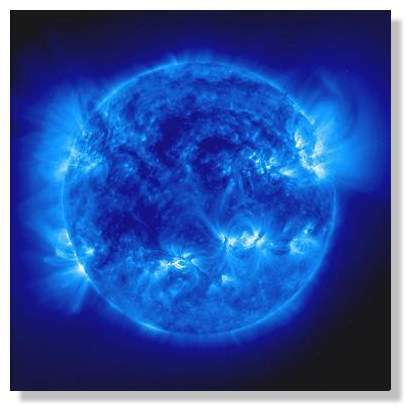 Light, the source of eternal life, and believed that the Sun was the manifestation of God. Thanks to this piety and to their unquestionable knowledge in mathematics and astronomy, Egypt is the first civilisation to implement a 360-day calendar dividing the year into 12 months, to which 5 days were added at the end. 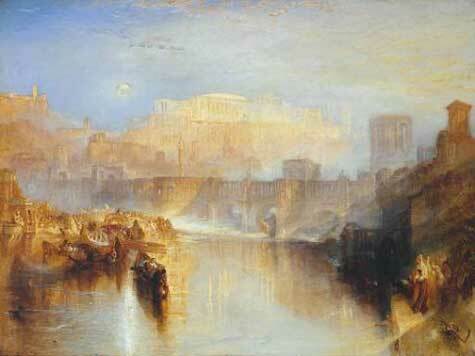 The celebration of the New Year coincided with the annual rising of the Nile. Each month was placed under the aegis of a specific god and comprised 3 "decanates" of 10 days. Days were organised into 2 periods of 12 hours, themselves placed under the influence of higher forces, the planets. Depending on the month, the day and the time of birth, a person was thus placed under the influence of a specific god and planets. It is obvious that such divinatory calendars have little in common with the understanding and practice of today's astrology. However, they reveal that men were determined to master their destiny. Like the Egyptians, the Chinese had a subtle perception of the surrounding world. The discrepancy between the evolved aspects of their civilisation and their religion seem to us extremely simplistic nowadays, such as for instance the belief in gods protecting the home. For the Chinese, there was a total harmony among heaven, earth, and man. The latter's duty was to ensure that established order is maintained between life and death, activity and rest, and day and night. This harmony is the base of the fundamental principles of Yin and Yang. The concept is that, as one of them increases, the other one decreases and starts to gain strength as the former weakens. In order to be able to take on the task of "surveillance", man ought to observe and compare events and note the meaning of their connection with the cosmos. Very early in China, around 2350 BC, there were calendars in which the Chinese year was divided into 12 lunar months. There was also an oracle system based on 8 trigrams, symbols made of horizontal solid or broken lines reflecting the Yin and Yang principles. Yang is believed to be masculine, active, solar, diurnal, and constructive, and Yin, feminine, passive, lunar, nocturnal, and sometimes destructive. 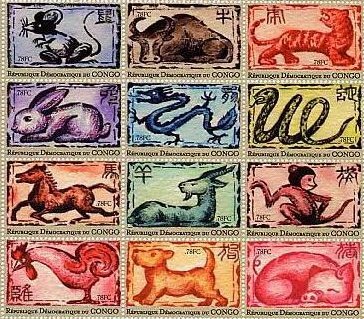 The principles of Yin and Yang are associated to 5 elements: wood, fire, metal, water, and earth, which are themselves linked to the 12 zodiacal animals: the Rat (Sagittarius), the Ox (Capricorn), the Tiger (Aquarius), the Rabbit (Pisces), the Dragon (Aries), the Snake (Taurus), the Horse (Gemini), the Goat (Cancer), the Monkey (Leo), the Rooster (Virgo), the Dog (Libra), and the Pig (Scorpio). These three principles protected the harmony of the cosmos and constituted the bases of Chinese astrology. 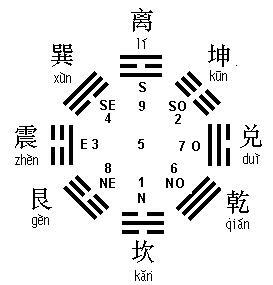 At birth, every Chinese has some sort of "stellar identity card" comprising 8 trigrams, 2 for the year, 2 for the month, 2 for the day, and 2 for the double hour. To interpret them, Chinese astrologers had to take into account a great number of combinations. It is interesting to note that Chinese astrology considers the time of birth on the basis of periods of 2 hours. Therefore, two persons born for instance at 2:00 PM and at 3:55 PM have exactly the same chart since the day is divided into 12 periods, each period being comprised of a double hour. 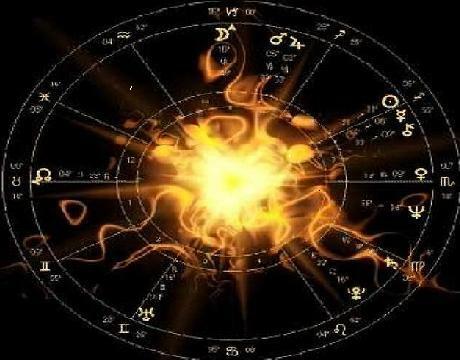 This gives ground to criticisms in favour of western astrology, which clearly marks the difference between the natal charts of persons born only one minute and even a few seconds apart. 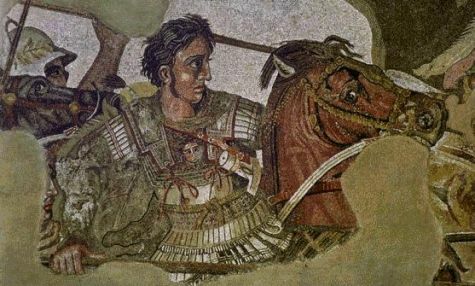 Contrarily to the Egyptians and the Chinese, the Romans, who were a people of farmers and soldiers, were more interested in warfare, politics, and conquests, than in sciences. In ancient Roma, even though astrology went through several nice periods, it was used with the only purpose to serve those in power. In 118 BC, one of the consequences of the defeat of Antiochus III, king of Syria, was to prompt hundreds of nomads to flock to Roma, which was a prestigious metropolis then. Among them, were Chaldean fortune tellers and horoscope-makers. The people would consult them to know their future, and in 139 BC, an edict was promulgated to ban the Chaldeans from the Italian soil because they "exploited the people's gullibility with their mendacious astrology". However, slaves and freed slaves working for Roman families were not targeted by this prohibition and carried on their predictions under the protection of the rich and mighty Romans who were willing to assimilate Greek culture, then a rival to Roman culture. Numerous debates ensued, during which a few members of the academy stood up as detractors of astrology, firing criticisms, which can still be heard today, such as "people born at the same time and in the same place have the same horoscope, and yet, they have completely different destinies". Later on, astrology enjoyed a period of bright spell with the arrival in Roma of Posidonius of Apamea who had a terrific encyclopaedic knowledge and taught in Roma. Among his students were such illustrious persons as Caesar and Cicero. Astrology became fashionable, and only uneducated people did not believe in it. Horoscopes were widely released and people would buy jewellery and precious stones representing zodiacal signs, in spite of the fact that the not too precise Roman calendar gave rise to serious doubts regarding the sign one was supposed to be born under. Famous emperor Augustus himself, who had a passion for astrology, never knew whether he was a Capricorn or a Libra, his whole life through... Besides, the mathematician and poet Manilius (in Roma, astrologers were called either Chaldeans or mathematicians owing to all the calculations needed) composed for the emperor his Astronomics, a didactic poem in 5 books, dedicated to astrology. The mighty Roman Empire lasted more than 500 years, and we do not intend to explain here the details of its history. 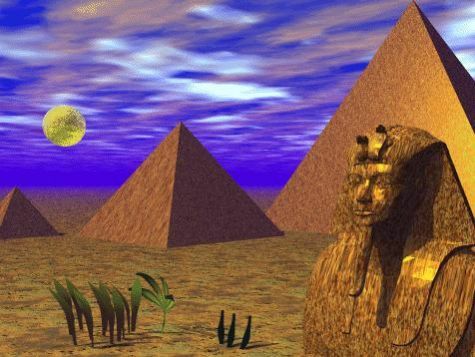 However, it is important to understand that during that period, and contrarily to ancient Egypt, astrology, whether it was rejected and negated or acclaimed and encouraged by politicians' personal ambitions, was exclusively used to serve the personal interests of those in power. As intellectual circles fought each other and weakened the foundations of the ancient culture, astrology gained ground and found unexpected allies in Christianity, even though fatalism, which in those days was akin to the stoic school of thought, was in total opposition to the Christian dogma of divine omnipotence. But astrology adjusted to the Christian belief in salvation, and gradually replaced a certain type of fatalism with free will. For many people, stars were not forces in action, but mere signals, and this astrological view influenced the first Christians. As a result, a form of "Christianised astrology" emerged, which considered heavenly configurations to be divine signs and let man make use his free will, and therefore, attracted many adepts among Christians and even the clergy. It is only after Saint Augustine, a man with an outstanding personality, gained influence, and a new situation prevailed in the church and the state, that ancient astrology declined. In India, the first traces of astrology, found in the far-off texts of the Vedas, date back to several thousand years, hence the name of Vedic astrology rather than Hindu astrology. The Parasari, after the sage Parasara, a disciple of Saunaka, himself a follower of Narada. Parasara is a descendant of the vedic prophet Vasishta. He was the son of Uma Sakti and is believed to have lived more than 5000 years ago. The Jaimini, named after its author. The Jatakapi, or Tajak, more modern and influenced by Arab astrology. It deals with progressions, a technique which moves the natal planets forward on the basis of 1 year one for 1 ephemeris day. It is difficult to briefly describe these very comprehensive and complex systems which deserve a whole book. Suffice it to say that Hindu astrology is based on the sidereal Zodiac, unlike Western tropical astrology. The main difference between the two systems is that in sidereal astrology, the zodiacal signs are based on the static backdrop of constellations and takes into account the phenomenon known as the precession of the equinoxes, whereas tropical astrology links its zodiacal signs to seasons. 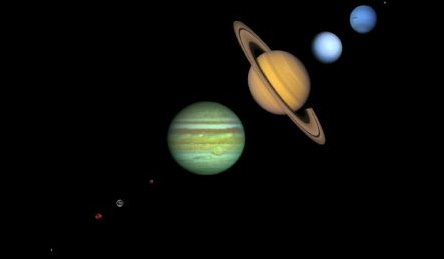 Hindu and Arab astrology's additional specificity is that they consider planets only up to Saturn. Indeed, Uranus, Neptune and Pluto were not visible in ancient times. Hindu astrology still casts the horoscope using the square-shaped chart which has also been in use for a long time in Western astrology. Hindu astrology also differs from Western astrology in that it is more spiritually oriented. It pays special attention to the Lunar Nodes, which are believed to be of karmic or spiritual nature. Now, let's say a few words about Hellenistic astrology. It is commonly believed that Hermes Trimesgistus is one of its founders. It emerged at a moment when the Greek civilisation deeply influenced a large part of the world, particularly Eastern countries. It has its roots in Babylonian astronomy, Greek philosophy, and Egyptian traditions. It is the primary source of our modern astrology theories. Hellenistic astrology is the first "horoscopic" astrology, meaning that it computes the exact degree of the ecliptic rising on the Eastern horizon at birth, also referred to as the Ascendant. This form of astrology considers 4 main features: the Zodiac, the circle formed by the 12 Houses, the planets, and their aspects. 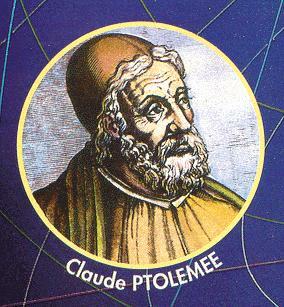 Claudius Ptolemy (2nd century AD) was a mathematician, astronomer, astrologer, geographer, and musician who spent a large part of his life in Alexandria, a city which was home to numerous scholars. Ptolemy is one of the founders of modern astrology. One of his most renowned books, the Almagest, contains a description of the cosmos and remains an authority nowadays. He was praised for his astronomical calculations, and particularly for the planet's motions. His geography works enabled him to draw a map of the world with a precision that was remarkable by the standards of his day. 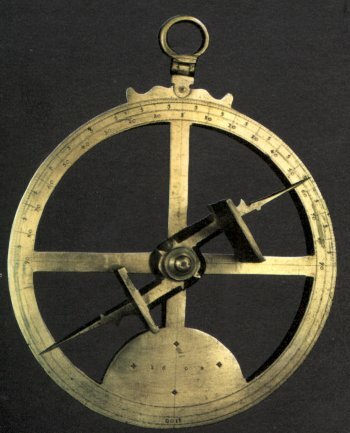 He also devised the astrolabe, a tool for measuring the distance of the stars and other celestial bodies against the horizon line. Ptolemy is the author of the very wise saying, which reflects our modern view on astrology, that "the stars incline, but they do not compel". The Arabs used Ptolemy's treatises, among other works, to interpret horoscopes. (The word "Arab" refers to all everyone writing in Arabic.) 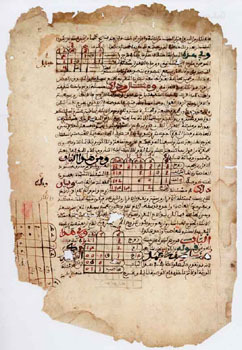 Arab astrology has three components: genethliacal astrology, which pertains to individual astrology based on the day of birth, horary astrology, which answers a specific question, and magical astrology, which invokes planetary gods and makes amulets and talismans while combining a planet's influence with corresponding metals and signs. Genethliacal astrology, of which few writings are available, but which knowledge is passed on to us through oral transmission, is based on the principle that life is a struggle, and that men are born under the sign of two weapons, the first one at birth (what are we at the beginning and what is our potential?) and the other one at the end (what have we become?). There are three categories of weapons, short, medium, or long, depending on their symbolic impact. At the beginning of the Middle Ages, astrology was generally considered to be a pagan practice. The Celts, the Slavs, and the Germans used astronomy for their numerous trips. Although it is ascertained that Louis the Pious consulted astrologers, he constitutes an exceptional case. After the collapse of the Carolingian empire, conflicts broke out. In those troubled times loaded with uncertainties and fears, the influence of the Greek-Arab philosophy considerably increased and was particularly felt in monasteries, which became places of reflexion deeply interested in new schools of thought. In those days, Nature was the main theme of philosophy and religion. It was generally believed that God created nature and put it at the service of man, and that astrology could predict anything related to nature, such as the weather for farmers, or diseases having natural causes. However, under no circumstances, astrology could foresee that which directly depends on free will. Great minds of the time, such as Saint Thomas Aquinas, an Italian philosopher and theologian (1225-1274), thought that predicting the destiny of a man was a demonic illusion. Nevertheless, learned astrology, as opposed to popular astrology, which deals with individual planetary aspects for each person, also had its advocates. 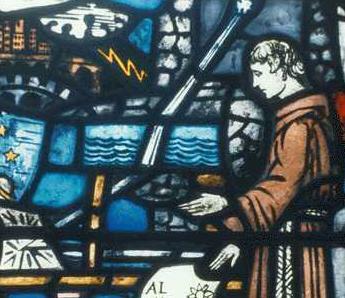 An outstanding example is the English Roger Bacon (1214-1294), a man with a very modern standpoint who fought the formalism of the Dominicans, an order to which Saint Thomas Aquinas belonged. Bacon argued that astrologers did not believe in fatalism, and that experience was the only important thing, as it is the very base of all philosophies, of which astrology was one of the pillars. He carried out a relentless struggle in order to impose his viewpoint, sometimes in quite an unorthodox fashion. Indeed, he had a bellicose character, and he did not hesitate to request the Church to support astrological researches in order, on the one hand, to prevent the practise of pagan astrology, and on the other hand, to strengthen what he called "astrologia sana", which relied on experience and experimentation. The Greek-Arab astrology steadily penetrated the Western world everywhere. In Italy, at the Court of Palermo, the king kept astrologers in high esteem and granted them his favours. Frederik II also requested them to write astrology treatises in which it was explained that the stars had no action and that they alone could not bring about anything, since they are mere signals. Astrology books were available in all universities and libraries. In England, astrologers devised ephemerides and "prognostications", whereas in France, astrologers thrived at the Court, despite the fact that predictive astrology was considered a pagan and demonic practise. Jean de Meurs, a renowned astrologer, made sensational predictions about the Great Conjunction of 1345. The public opinion as well as the Court were deeply alarmed, and King Charles V the Sage commissioned people to write treatises claiming that Jean de Meurs' forecasts were but mere superstition and that astrologers had failed to predict a previous pandemic, which was totally untrue. Heated debates ensued between proponents and adversaries of astrology, particularly in France and in England. As a consequence, Ptolemy's enormous work was questioned, and many scientists, scholars, and religious people deemed it as flimsy speculations. By the end of the Middle Ages, the protective and reassuring schools of thought which place Nature at the centre of their philosophy wore off, and people started to look for other answers. Simultaneously, scientific discoveries flourished... Renaissance was getting ready. 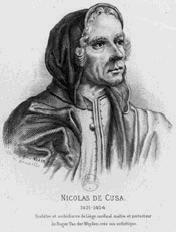 In astronomy, the first major discovery of the Renaissance was made by Nicolas of Cusa (1401-1469), a German mathematician, philosopher, and theologian, who was considered to be the last thinker of the Middles Ages and the first one of the Renaissance. He affirmed that the earth had neither centre, nor perimeter, and that it rotated around an axis. He called this theory "Theory of relativity of location and motion". In those days, the scientific and intellectual circles remain indifferent to his statement, but astrologers understood the tremendous importance of such a discovery. 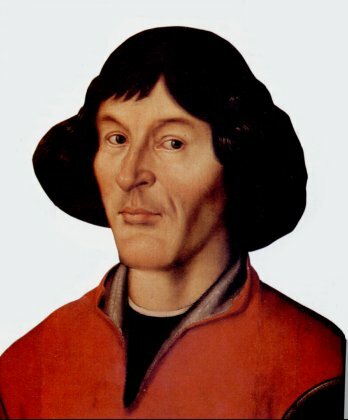 Nicolaus Copernicus (1473-1543), a Polish astronomer, was the first person who postulated that the sun is at the centre of the universe, and the earth revolved around it. So far, no one had been bold enough to put forward such a theory. As he observed Mercury and Venus, Copernicus reached the conclusion that the earth revolved around its axis as it revolves around the sun. His theory, known as heliocentrism, was scoffed at by scientists, but welcomed by astrologers. At first, Copernicus strove to convince his peers, but he become disheartened rapidly. It was an astrologer who published his work in numerous copies, which contributed to have his revolutionary findings slowly accepted despite the fact that they contradicted the Bible. In 1616, Copernicus' theory was judged heretical by the Church. 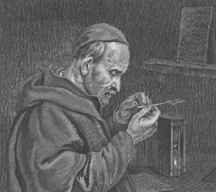 Galileo Galilei (1564-1642), an Italian astronomer and a worshipper, took up again Copernicus' works. 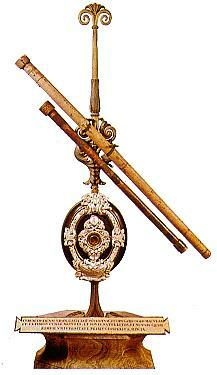 He devised the telescope, a tool which enabled him to observe the sky and its phenomena with much greater precision, and to discover Jupiter's Moons. He travelled to Roma in an attempt to convince the Church of the validity of his discoveries and became a friend of Pope Urbano VIII. Since Copernicus' works were still banned as heretical, the young and progressive pope requested Galileo to write a contradictory and objective book about the different systems of the universe. Galileo spent many years drafting the book. At the same time, he kept on practising astronomy and astrology and reassured the astrologers who feared that these new discoveries might undermine the bases of astrology. In 1631, when Galileo's work was published, the Catholic Church was challenged by the emerging Reformation movements, and the pope had to have the book put on the Index by the Inquisition. It was done a bit late, and many copies were broadly circulated. Galileo was found guilty of heresy. To save his life, he had to abjure. He was rehabilitated long after his death, only after the Church accepted Copernicus' theories, in 1757. During the Renaissance, the bases of astrology inherited from the Hellenistic tradition did not evolve very much and kept the principles of planets, signs, houses and aspects. However, astrological calculations greatly improved thanks to the discoveries achieved in algebra and trigonometry. Detailed tables featuring planets' rising and setting, positions, and motion were published and easily available thanks to the newly invented printing technique. Mentalities rapidly changed, as it is most often the case when prevailing trends promote opening up to the world. Astrology thrived tremendously. Learned astrologers remained cautious and fought fiercely against charlatans who did not hesitate to advise on hairdressing or fashionable clothes, which the people were very keen on. Medical astrology also developed and was taught in several European universities, since it was believed that to be a good medical practitioner, one had to be a good astrologer. Nostradamus' prophecies are among the most famous ones. Michel de Nostredame (1503-1560) was a French astrologer and clairvoyant whose predictions were very controversial. In addition to great conjunctions, he would use planetary cycles and chronological periods and tap into his clairvoyant gifts. He caused a sensation after King Henri II died according to the published prophecies. Many people still have in mind the case of Nostradamus' son, an astrologer too, who set fire to the city of Pouzin in Ardèche, France, in order to make his prediction come true! Astrology slowly reached its climax as the Renaissance unfolded. In Italy, it is supported by the popes, whilst in France, Queen Catherine of Medici protected astrologers, whom she regularly consulted astrologers, and among which was Nostradamus. Several events are at the root of the decline of astrology. The Thirty-year War with its procession of deaths and horrors strengthened the beliefs in evil and witches, and astrologers were rapidly seen as charlatans who would exploit the people's fears. 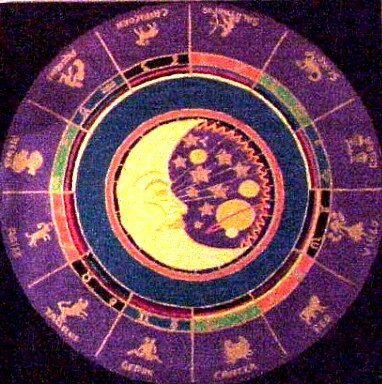 The control exerted by the Church on research and philosophy aggravated the bad reputation of astrology. An additional worsening factor was the development of Rationalism, which was mainly linked to progresses in natural sciences and invalidated the philosophy of the Renaissance. The French philosopher René Descartes (1596-1650) published his "Discourse on Method", in which he supported English lawyer and philosopher Francis Bacon's theory. Descartes based his reasoning on experimentation with a view to explaining Nature. He also argued that only that which is quantifiable should be considered as true and actual, which obviously excluded occult sciences. This new mechanical and mathematical approach to Nature was in total contradiction to the deductive aspect of astrology. During the Enlightenment, astrology, which was already fairly weakened, was swept away by rationalism and despotism, which had become the organizing principles of the state. Astrologers were deprived of their working tools and, without powerful protectors, it fell into the hands of charlatans and marginalized people. It was sometimes used as a mere entertainment by the ladies at the Court. In the Encyclopedia published by Denis Diderot and Jean le Rond d'Alembert, one of the major works of the 18th century, astrology was scoffed at. Voltaire, a renowned French philosopher, wrote that no sensible human being could take it seriously. It is worth mentioning that it was during this century that Uranus was discovered, in 1781. 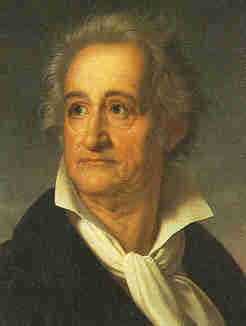 In 1811, Johann Wolfgang von Goethe, a German novelist and philosopher did not hesitate to start off his memoirs with comments on his own horoscope. He confessed his passion for this discipline, which he had been practicing for several years. Actually, it was in Germany that astrology's first advocates started the slow process which led to its rehabilitation. Indeed, German Romantics wanted to take the cosmic machinery out of mechanical rationalism so that it becomes alive again. At the outset of the 19th century, the Romantic movement spread to England where it kept on developing. The majority of astrologers would hide under a pseudonym, which is quite revealing of the poor reputation of astrology. In France, the homeland of Rationalism par excellence, defenders of astrology gathered themselves into secret societies. Among the most famous ones were Abbott Constant, whose pseudonym was Eliphas Levi, and the medical practitioner Gérard Encausse, known under the pseudonym of Papus. It was not until 1885, some forty years after the discovery of Neptune, that French astrologer Abel Haatan published a serious work, "Manual of spherical and judicial astrology", which was followed by "Planetary Genius", written by his disciple, François-Charles Barlet. These works were taken up and improved by other astrologers and constitute the bases of the scientific astrology as it is practised nowadays. We hope that you enjoyed our brief summary of the history of astrology. An article about its various modern forms is in preparation and will be published online shortly.